A hedge can be created from almost any species of shrub. It is simply a matter of spacing the individual plants so that they grow together without any gaps. Having said that, some plants are far better suited than others. 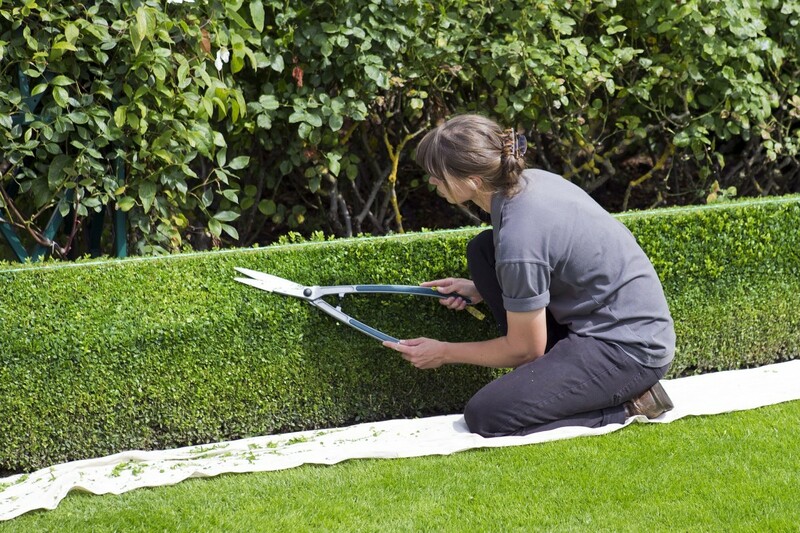 Formal hedges need to be created from plants that take regular pruning well. 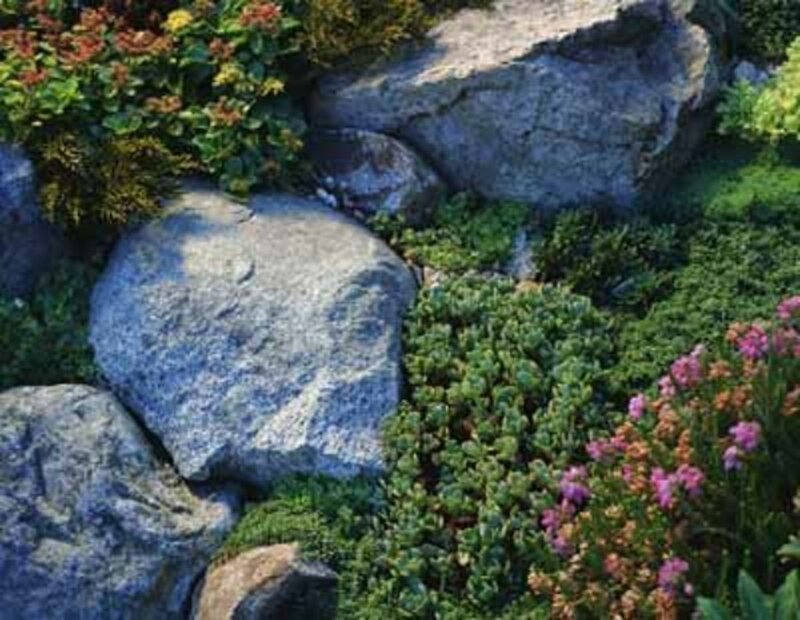 With informal or natural hedges the choice is more often to do with foliage color, flowering and growth habit. What is Your Hedge For? Working out what you need is the first step to getting the perfect hedge. To keep out intruders (including the four legged kind)? As a way of creating special spaces in a garden? As a feature? Hedges can be beautiful as well as practical. With these questions answered, you can start to make your choice. If you decide to go for a formal hedge you need to be prepared to keep it trimmed. This is not difficult with shorter hedges in small runs. Long, tall hedges can be a challenge. 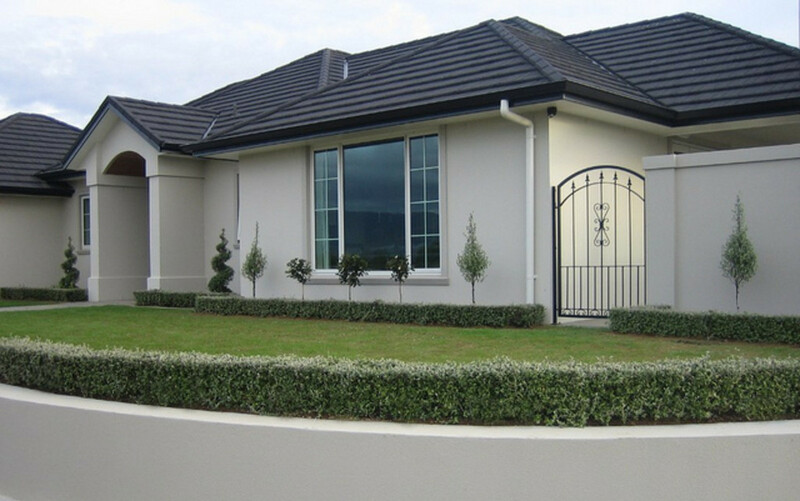 Formal hedges have significant advantages, though, in terms of the space that they take up. You can keep them narrow to maximize growing space for other plants. You can also choose the height you want- not so easy with informal hedges. A well trimmed privet hedge, for example, can be a tall, impenetrable barrier to prying eyes, neighborhood dogs and human intruders. Or it could be a neat way of edging a pathway at a height a three year old could jump over. Natural hedges can be a mix of many species. 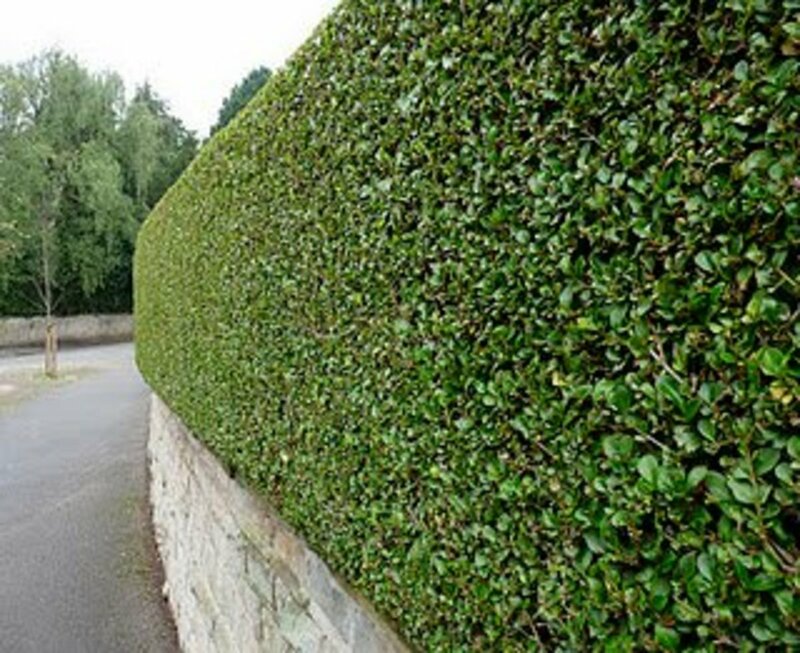 This page is about formal hedges but natural hedges are always worth a thought. A big advantage is that they will only need light pruning from time to time. 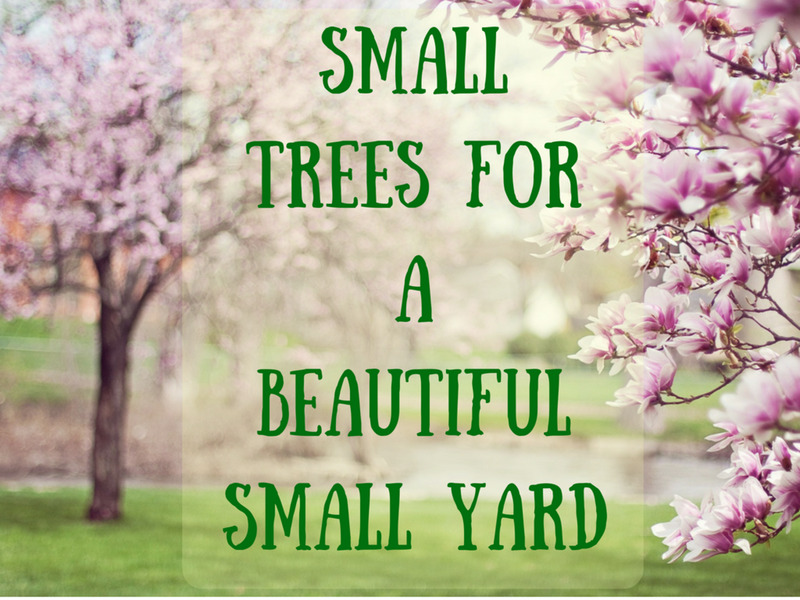 They can offer a beautiful soft boundary to a garden and many flowering shrubs will be the perfect home for wildlife. Natural hedges are only really suitable for bigger gardens- they like to spread. The more quickly you want a hedge to be fully established the more expensive it will be. It is entirely possible to establish a perfect hedge at no expense at all. Cuttings of privet, laurel or box are easy to find (ask a friendly neighbor). If you take the cuttings in spring, you will have a line of little plants by Fall. These will form a low hedge in a few years and a tall one in several. If you want a hedge quickly, you will need to buy well established plants and plant them close together. One of the cheapest options for a tall, quickly established hedge is cedar. A single, three foot cedar is around $10, installed. They are spaced at one foot intervals, so you can easily work out the cost. Within a year the gaps will have filled in and you will have a hedge four or five tall. Hedges that keep their leaves year round have big advantages for privacy and as wind breaks. Box (Buxus),Yew (Taxus baccata), Holly (Ilex), Firethorn (Pyacantha coccinea), Variegated Japanese Laurel, Cotoneaster. 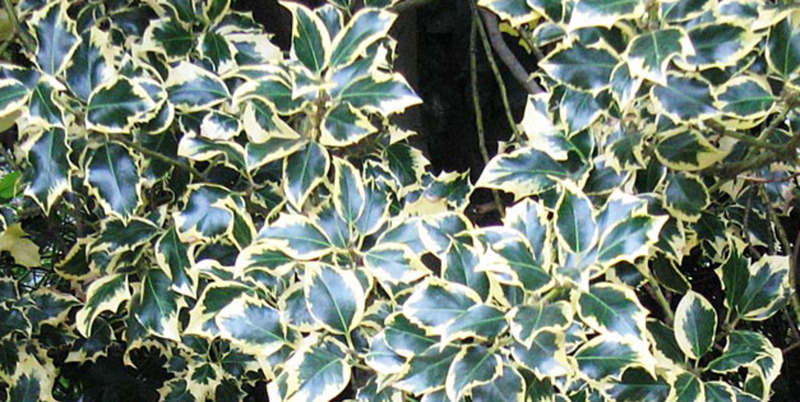 Deciduous hedge plants offer a wider choice of foliage colors. This page is intended as a guide for anyone thinking about creating a formal hedge. The best advice though is local advice from nurseries and neighbors. For example, some of the plants described below are considered invasive in some parts of the country. Privet, for example is a significant problem in Southern states where it invades natural areas and outgrows native species. Ideal varieties for formal hedges that take well to the shears. Box hedges can be labor-intensive. Boxwood has been used for hundreds of years in formal gardens. It can be shaped to produce intricate topiary. It will make geometric shapes easily- very formal arrangements like knot gardens are increasingly popular. If you notice very low edging hedges around pathways they are usually buxus. 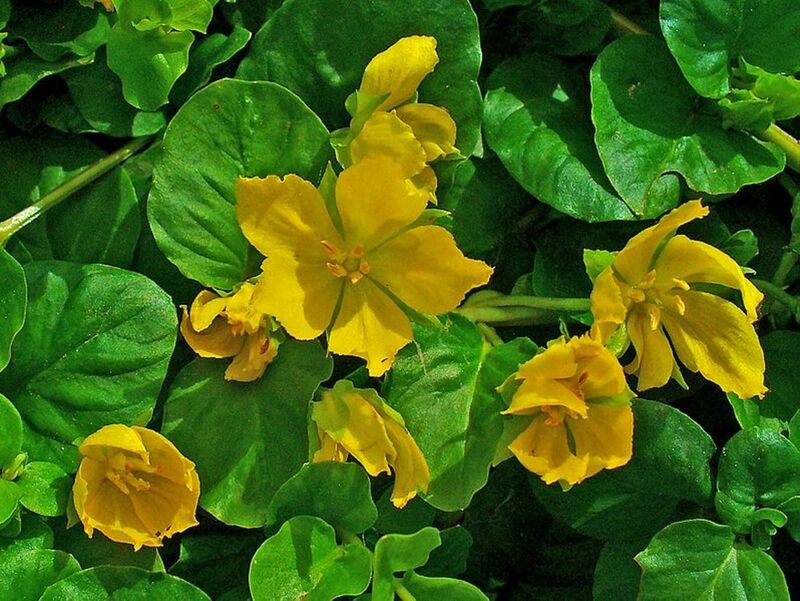 There are dark foliage varieties or brighter yellow forms. 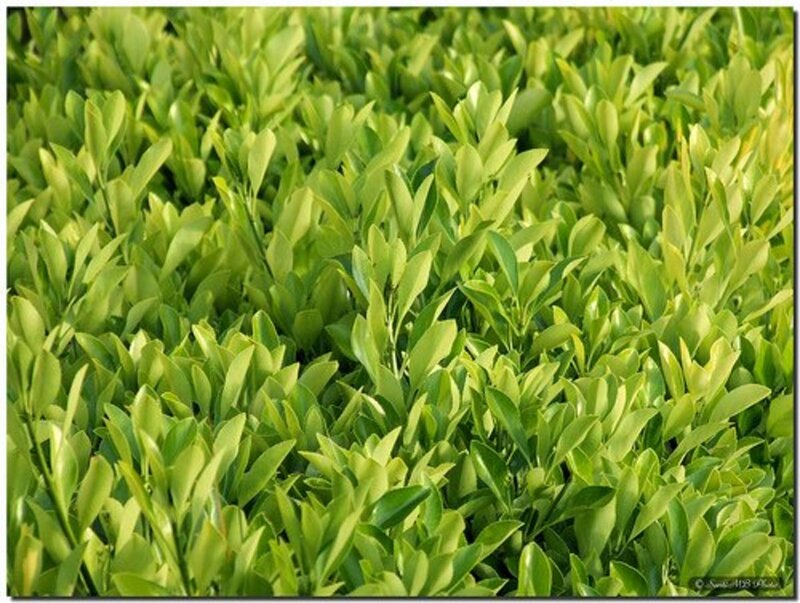 Buxus can also be used to make soft shaped hedges that do not spread too wide and eat up space. 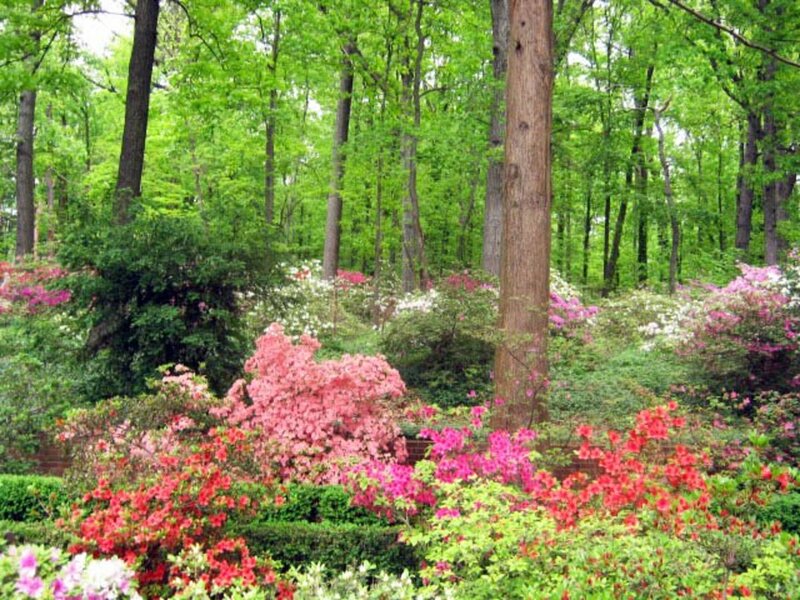 They are usually evergreen with varieties to suit most areas of the US. The drawback for some people will be the relatively slow growth rate. The payoff is the superb texture. The video shows some of the many things that you can do with boxwood. Common or European Privet forms a dense, impenetrable hedge when pruned regularly (as seen right). It can offer all the privacy anyone would needs with a maximum height of up to 15 feet. It is considered an invasive weed in the Southern US and its use should be avoided. The video below shows some typical uses of Privet and illustrates just how versatile a plant it is. Japanese Barbery offers vivid colored foliage with greens and reds of all kinds to choose from. The Fall show of colors is spectacular. Some people dislike the spines but these can deter intruders (including deer). Laurel is a native species in the US. This makes a laurel hedge a good home for local wildlife as well as an effective barrier/privacy screen. 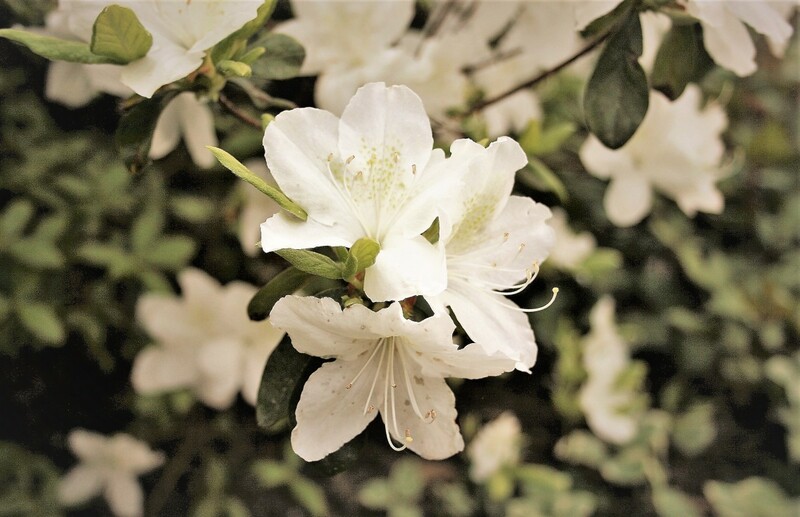 Popular forms include the Mountain Laurel which produces wonderful flowers and is evergreen. The dense nature of the foliage and the good height makes it a popular choice near busy roads- it is an effective sound absorber. 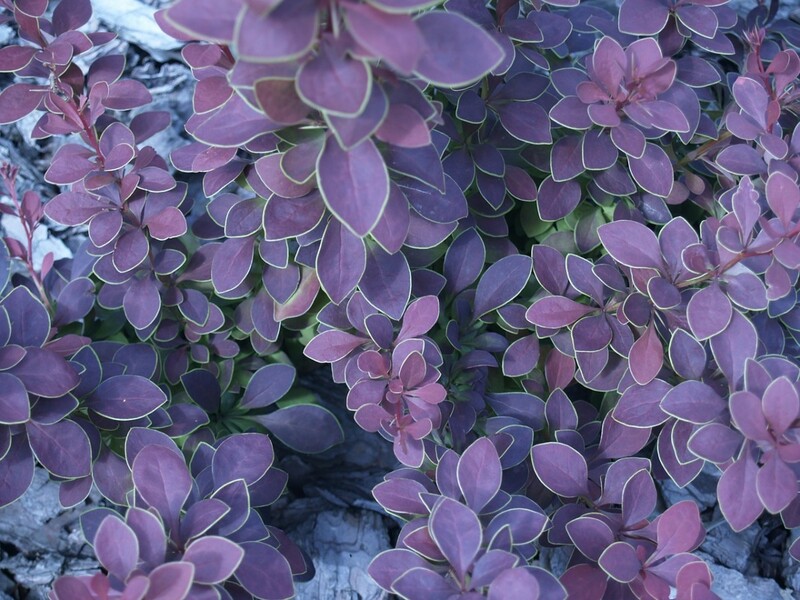 There are a whole range of leaf colors available for this evergreen shrub. All are a soft green with either gold, white or cream variegation. It will grow up to 15 feet tall but is easily controlled and shaped by regular trimming. It is susceptible to significant pest problems in some areas and local advise is worth finding. Yew plants make wonderful topiary and hedges. Hybrid Yew is a popular and quite fast growing hedge plant. It needs well drained soil but otherwise is an easy plant to grow with very few pest issues. There are a variety of natural growth patterns in the Yew family including very upright or spreading. 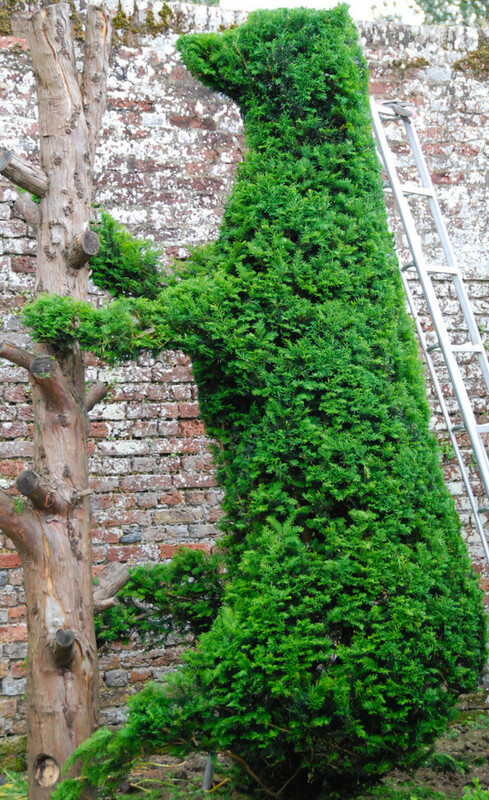 If you invest the time in regular pruning, however, you can make almost any shape you wish, including the bear shown to the right. It is evergreen and produces attractive (if poisonous) berries. Holly is evergreen and produces attractive berries that last well into the winter. The spines make it an effective barrier against intrusion. 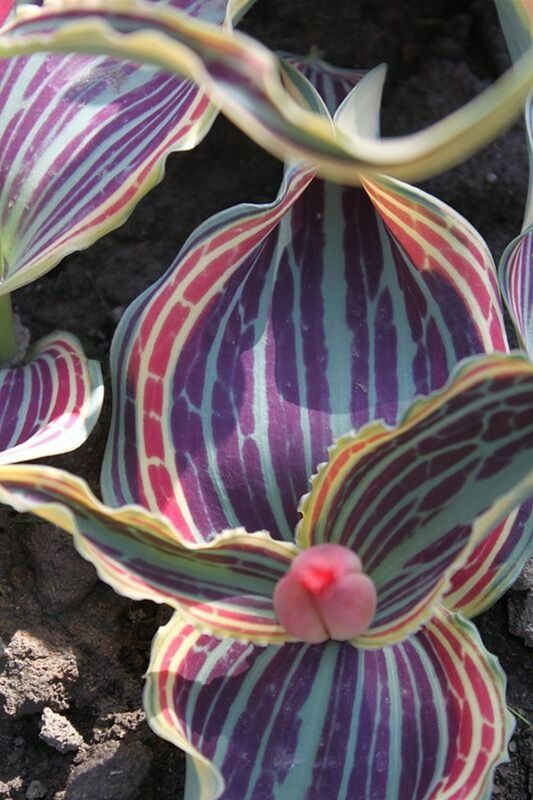 There are many variegated species as well as the more traditional dark green lustrous leaved forms. 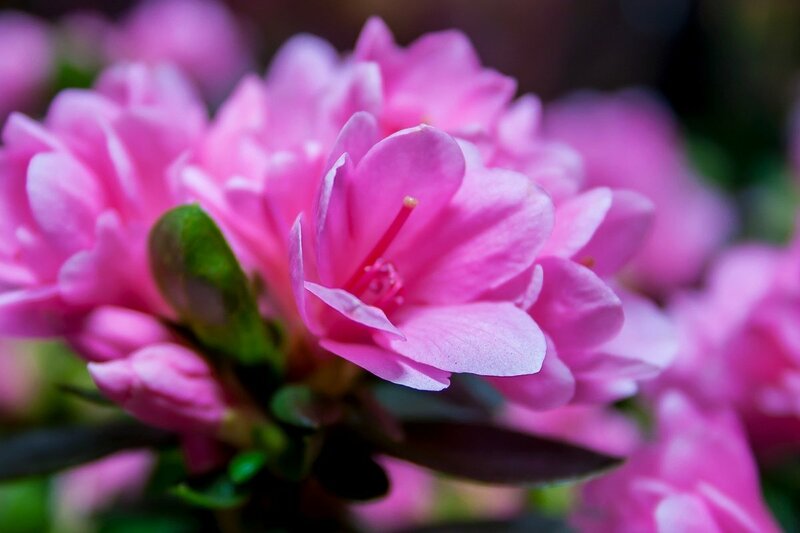 You can also choose dwarf varieties for shorter hedges and less pruning. 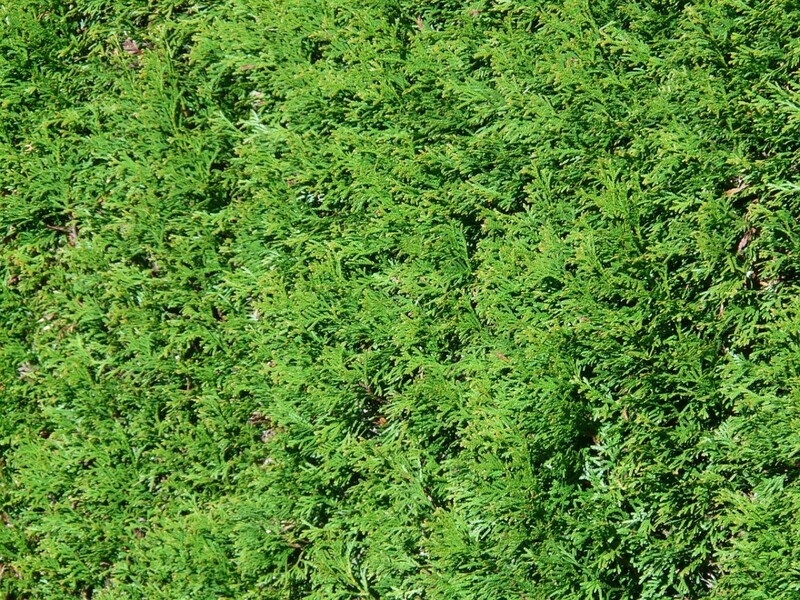 Thuja is a fast growing conifer. It has a vivid green foliage that can survive the hottest days and the coldest, iciest nights. 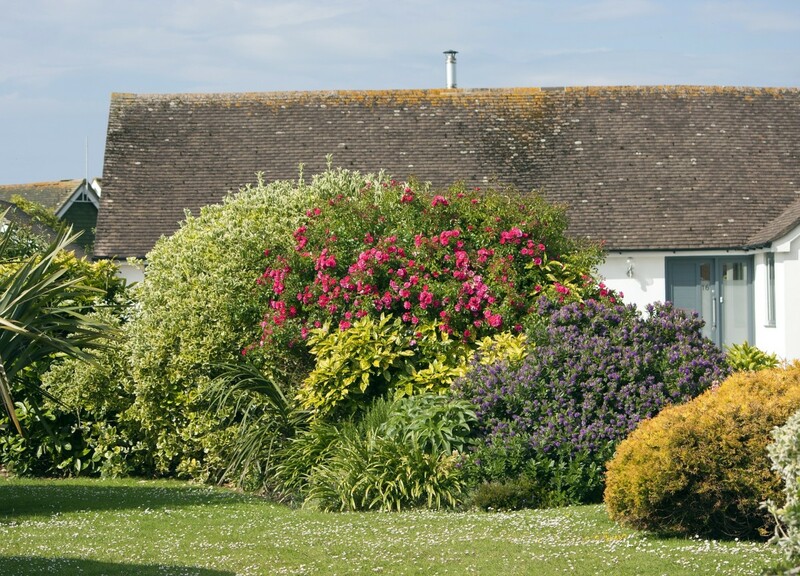 It can be left to grow out into a typical conical conifer shape or trimmed to produce a formal hedge. 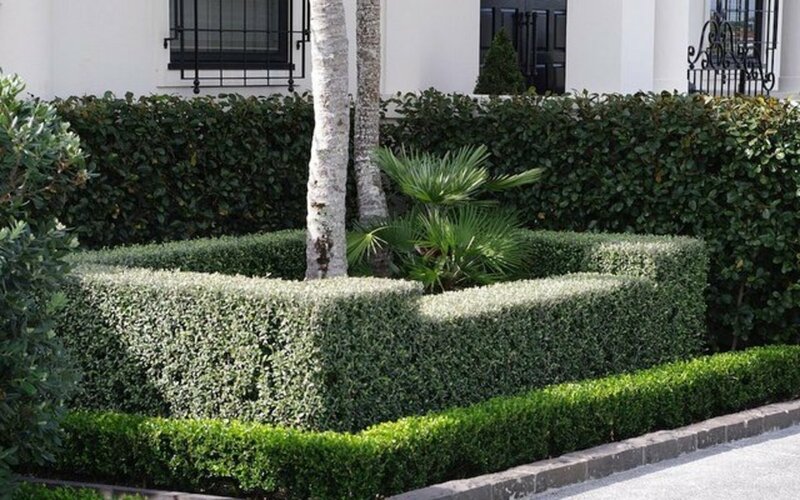 I love box hedging - we just returned from France where I went to two wonderful gardens where I saw some amazing topiary. I was particularly interested in them before I went, having just purchased sixteen small plants from auction which I intend to grow into different shapes for our newly laid patio. One of the gardens I saw in france was featured this week but the other one is still a work in progress - it featured the most amazing boxwood topiary such as a table and chairs complete with bottle of wine and a glass on the table - all in boxwood. I even saw faces on rows of hedging. Simply beautiful - Love the videos too. Thanks for sharing.